Eduardo de la Iglesia, is from Spain. He won the 15th Annual USA Songwriting Competition in the instrumental category. 1. Can you describe how you compose your music/songs? When someone gives me images (videogames, movies, etc...). the process is different. I listen to a lot of music about the ambience of the game, or the movie and I get ideas from that music to start composing. 2. Do you collaborate with other songwriters, lyricists or composers? 3. Who is your favorite composer? What did you learn from him? I´ve got a lot of favorite composers, but if I must choose one of them, I choose John Williams. It´s incredible the way he describes images with his music. He´s a great composer and all his music is an inspiration for me. I´m trying to learn the way he orchestrate his themes (It´s not easy) and the way he use the orchestra to describe the different situations for a movie. 4. How did you write your winning music? Did the melody come first or the background music? First it´s the melody, and then the orchestration, but in the winning music there are two melodies. The song calls "Gods & Mortals" and there´s a melody for the Gods (Chorale) and another melody for the mortals (Oboe). 5. Can you describe the collaboration with other writers and producers? 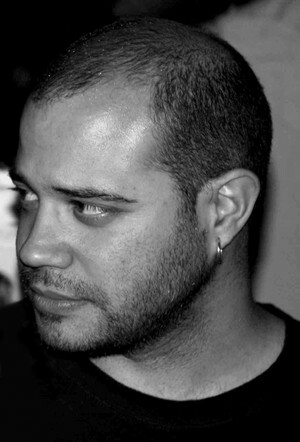 I´m always trying to discover new things when I´m composing music. I am constantly learning new things to incorporate into my music, so.my collaboration with other composers is based on the exchange of musical ideas. 6. Can you tell us about your music college experience? Do you take anything positive from that experience? I started to learn music when I was 8 years old, but I was too booooored, so when I was 10 years old I left my musical studies. 7. 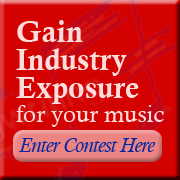 Have you won other song contests other than USA Songwriting Competition? - Nominee for the "Hollywood Music Awards" on 2 categories: "Best New Composer" and "Best Instrumental Music"
- Nominee for the "19th Annual L.A. Music Awards"
8. I see Ariel Queupumil is from your country (Spain), he won 1st prize in the Latin category the same year you did. Have you collaborated with him? If so, how did you collaborate? Due to the contest, Ariel called me because he was making a web page for musicians called MyHitplace...a great place to put in contact producers and musicians. He told me about the page and the possibility to upload my music. I know Ariel´s music (he´s a great composer) and we talked about making music together...He´ll compose the music and I´ll make the arrangements. 9. What advice would you give to other up-and-coming composer or songwriter out there?